Eighteen-year-old, Carissa Schultz, hangs between childhood and adulthood. While trying to navigate college, her health and her growing independence, she feels a calling on her life to change things for the generation following her. 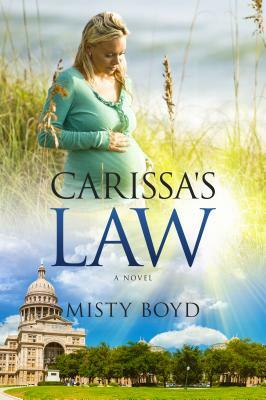 Born with a severe birth defect called spina bifida, Carissa has already overcome many challenges in her life, but can she find it in herself to follow her calling and keep her health in check while Isaac, a young man with dreams and ambitions of his own, is competing for her attention? Upon her arrival, her parents were told she would not live through the night and, if she did, she would be mentally and physically challenged and dependent on others her entire life. They were told she would never walk, talk or feed herself. She would only sit in her wheelchair and be dependent on them for her every need. Her parents were given the option to withhold feeding and let her die. This option was deemed unacceptable and Misty was medically treated at a different local hospital. Fast forward 34 years…Misty is happy and healthy. There have been obstacles along the way but she walks, talks and is fully independent, with no significant mental challenges. She is married to a supportive husband, and is an incurable lover of Jesus and hedgehogs. Misty is a Christian, and her relationship with God is very important to her. She can be found in her home church every Sunday, but only the afternoon service! She likes to sleep in past both early services. She and her husband, James, have been married for 10 years and together for 19. They own a hedgehog named Meatball who is 6 months old. They have no children. She enjoys both dancing around her apartment, and singing at the top of her lungs in the car, even if she's not very good at either one! Her favorite food group is Tex-Mex. She can be won over by a good taco 9 out of 10 times!